Our colleague Adrien K. Wing, who's been traveling to Egypt for more than a quarter-century, has just published an op-ed inspired by recent political events on which we've posted. Appearing in the Des Moines Register, the essay's entitled "Before now, Egyptians never dreamed of anything like Iowa's caucuses." In it, Adrien (right) recalls that many of her Egyptian hosts had been fascinated with the U.S. Presidential race. 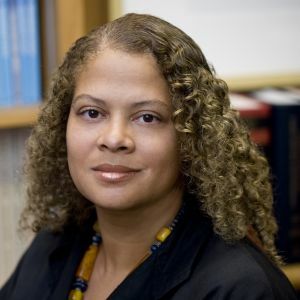 That race begins every 4 years in Iowa, the state where Adrien is Bessie Dutton Murray Professor of Law at the University of Iowa College of Law. After the election of an African-American president, something that many Americans thought would never happen, I asked my Egyptian friends how they felt while watching our process. Could they imagine an Egyptian election in which Hosni Mubarak might not win? Needless to say, for them, it was beyond imagining. Adrien continues with thoughts on the unveiling imagination of just that.